active in the forest sector since 1994. Its name summarises its purpose: sustainable forest management (sylva), constantly evolving (nova). Sylva Nova is characterised by its independence, its network of partners and contacts, its constantly-updated level of knowledge, its sense of ethics and its interest in geopolitical issues and international affairs relating to the forest. Sylva Nova cultivates the passion for forest, the taste for travel and sharing experiences. Permanently connected to the wood markets, Sylva Nova uses this knowledge for specific analysis missions (e.g. analysis of the international wood market) or to develop forest management plans to optimise their returns. Sylva Nova contributes to the identification and establishment of sustainable supply chains respecting international standards to combat the illegal use of wood (EUTR/VPA and FLEGT devices/ FSC®/PEFC, etc). Sylva Nova contributes to the development of communication media concerning forestry issues. Whether specialist periodicals or ad hoc documents aimed at the general public, Sylva Nova contributes to the reinterpretation and validation of the content. Market analysis, reports, contribution to publication, participation in meetings and workshops to strengthen the team’s capacities. Participation in meetings and workshops to strengthen the team’s capacities and contribute to publications. Contribution to the development and implementation of tools to support a rational policy in the EEC’s forest sector, specifically in Eastern Europe, Caucasus and Central Asia. Participation in the network’s meetings and workshops. Sylva Nova specialises in communication relating to the multi-functionality of forests. Consultant, support, and participation in the different working groups. Participation in the different activities of the politic and scientific think tank, “Think Forest”. Its aim is to give political decision-makers information allowing them to develop forest and wood as a key natural resource to be protected and promoted. Development and implementation of medium or long-term management plans complying with sustainability standards and local regulations, based on the economic, ecological, social and landscape objectives of the forest concerned. Comprehensive management from planting to final use of woods. 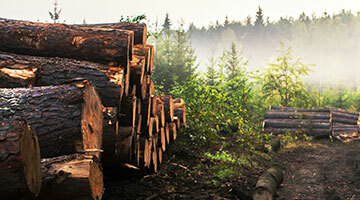 Economic development of timber and yield optimisation thanks to keen knowledge of the local and international markets. 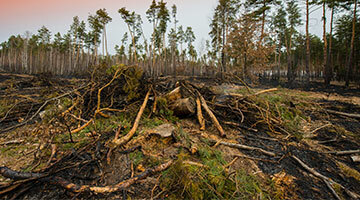 Rehabilitation of forest areas damaged by natural disasters such as storms, fires, floods, etc. 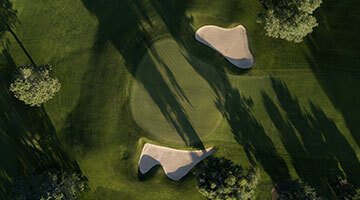 Monitoring and recommendations concerning the management of green spaces with a forest profile such as golf courses, private or public recreational forest areas, etc. To date, Sylva Nova is the only private group with FSC® certification (Forest Stewardship Council®) recognised in Belgium (Licence FSC- C137690). The FSC® certification relates to sustainable and balanced forest management. Thanks to the guarantee it gives to wood buyers, it provides access to the most demanding local and international markets. Group certification allows several forest owners to be covered by a single certificate in order to share certification costs and simplify the administrative management. This FSC® group is open to owners whose forest is regularly managed by Sylva Nova and external owners simply wanting to acquire the certification for their forest(s). By holding a FSC® certificate for your forest, you are not only highlighting your good forestry practices, you are also adding value to your woods. Today, companies fulfill more than a simple economic function. At the heart of the societal challenge, they are aware of the general role they must play to benefit their ecological, social and cultural environment. Sylva Nova proposes an original and pragmatic plan for environmental action: reforestation. Reforestation provides an opportunity for responsible companies to support a public interest initiative. Sylva Nova collaborates with several reforestation actors worldwide. Reforest’Action is a privileged partner with whom we have selected and integrated many projects in different European countries.